A Daily Study Plan Integrating the Best Content. Personalized Adaptive Learning Technology Unlocks Learning Efficiency. Proven to Increase OITE Scores. Trusted by 100+ academic centers to educate their physicians more efficiently. Shown to increase OITE scores in independent studies. 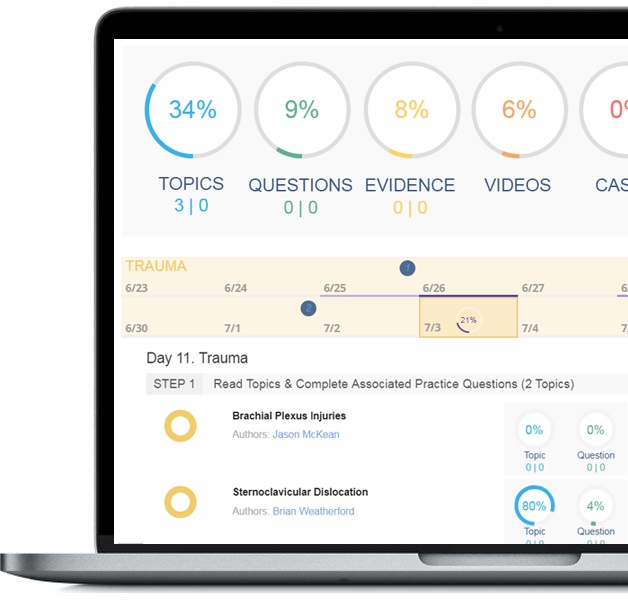 Our annual daily study plan integrates the most essential topics, practice questions, scientific articles, and videos in a modern snackable-learning platform that guarantees you stay up-to-date and ready to crush the boards. Use our Monthly Diagnostic Milestone Exams, with new questions, to identify your areas of weakness so you can focus where you actually should. Know where you stand amongst your peers, across all specialties, with PGY% Rank Scores. Personalized and intelligent tracking tools profile your mastery, track your progress, and ensure you focus where you should. Our new adaptive calendar makes staying on easy! Mission critical learning on your phone, on the go, when it matters most. Orthobullets topics in a flashcard format for rapid-fire recall learning. Machine Learning & AI has come to education. weekends will be reserved to catch up or read additional resources. Therefore, orthobullets topics will not be sent out on Saturday and Sunday. Instead optional "chapter" reading that has been carefully selected by our team will be distributed. At this time Orthobullets cannot provide PDF files to all the "Chapter" reading. We are making efforts to provide as many of these PDF files as possible. after the topics from a specialty have been reviewed, a specialty exam will be posted. Members can take the specialty exam at any time. each month a mock exam with 25 Never-Been-Seen Questions will be posted. An exam curve will be posted following a two-week test window. by registering for this study plan, you receive 12-month access to all of the premium content included in the PEAK premium subscription. 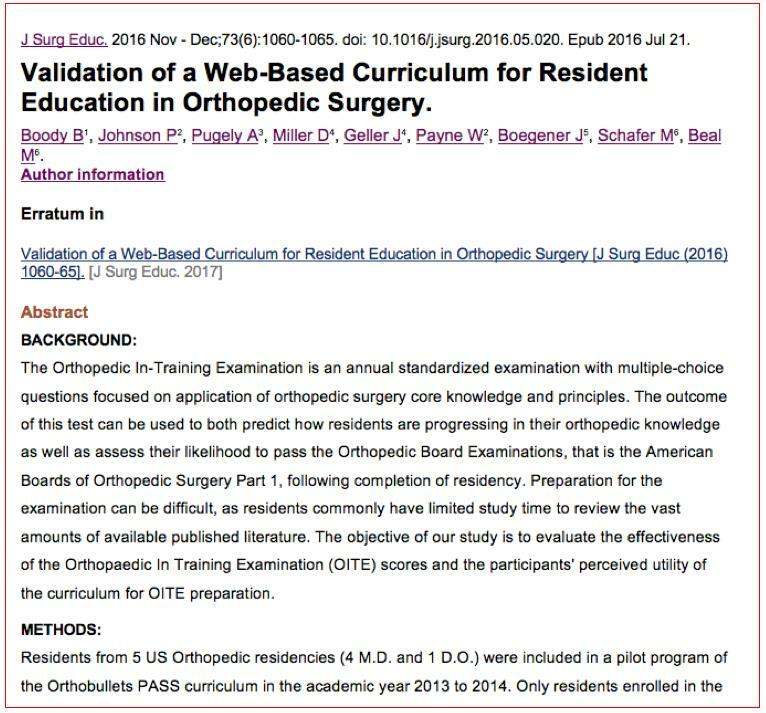 Target Audience: Practicing orthopaedic surgeons preparing for the Maintenance of Certification Exam (MOC) administered by the American Board of Orthopaedic Surgeons. 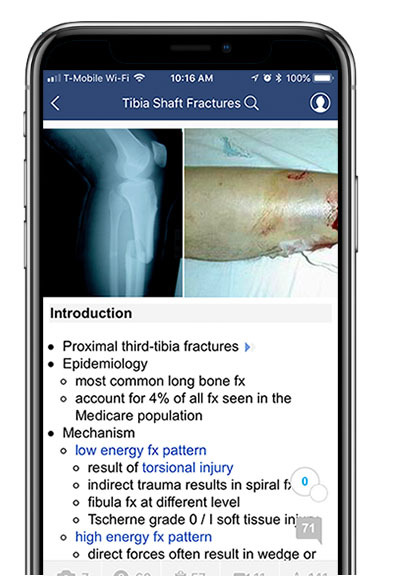 Course Description: This internet enduring activity is designed to prepare surgeons in practice for the General Clinical Maintenance of Certification Exam administered by the American Board of Orthopaedic Surgeons. 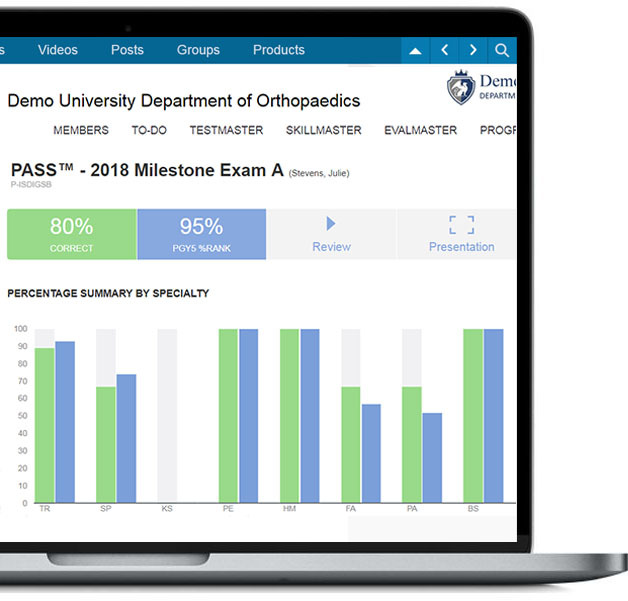 Through a review of 728 essential orthopaedic topics, specialty exams, and mock exams, the learner will be well prepared for the computerized format of the MOC. This activity has been planned and implemented in accordance with the Essential Areas and policies of the Accreditation Council for Continuing Medical Education (ACCME) through the joint providership of FORE and Orthobullets. FORE is accredited by the ACCME to provide continuing medical education for physicians. FORE designates this Internet enduring activity for a maximum of 198 (AMA PRA Category 1™ Credits). Physicians should claim only the credit commensurate with the extent of their participation in the activity. Requirements for successful completion: Participants must receive a minimum of 70% on the activity post-test in order to receive their CME Certificate. Relevant financial relationships exist between the following individuals and commercial interests.